You can now pre-order those Sound Blaster World of Warcraft Wireless Headset that Creative Labs showed off during last year's BlizzCon. 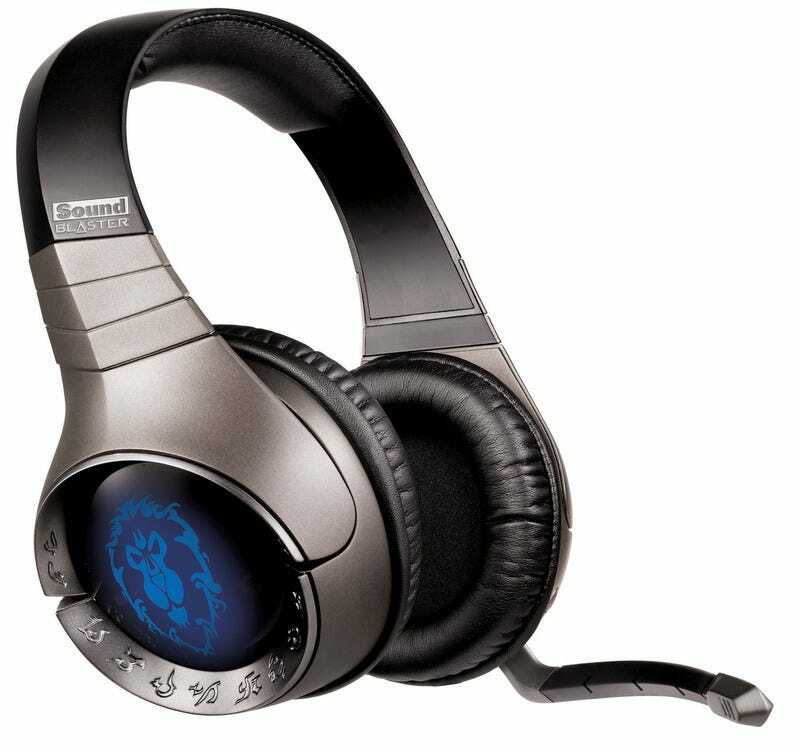 The headsets, which come either either a Horde or Alliance theme, will cost you $160 a pop. They include custom World of Warcraft voice mods, WoW-themed software and will work on a PC or Mac. The headphones use rechargeable batteries that can be recharged while being used. Pre-orders for the headset can be made at Creative and Amazon. Not being a WoW player, I'm not picking these up, but I can see people into the massively multiplayer online game making short order of the first run.